I hope you all had a wonderful weekend! Have you seen the April specials at Paper Maniac yet?! Absolutely, spectacular deals! Here's my card for this week. We went to a birthday party over the weekend and my sons suggested that we give their friend a train card. So, of course, I pulled out my Echo Park Little Boy paper. Love these little trains! The sentiment is from a Unity (huge sale on these!) set,Birthday Chic in Memento Rich Cocoa. I finished with some buttons. I just love that dp and what a fun way to use the buttons. Thanks for playing with us at ATU! 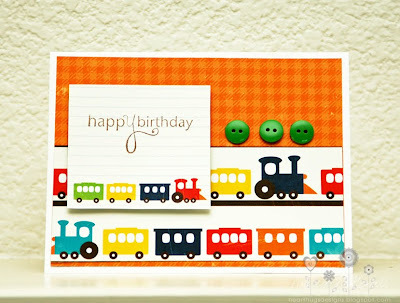 LOOOOOOVE that little train--you rock these EP papers...and stamps! LOVE LOVE LOVE! Thanks so much for playing along and joining in the fun over at ATU!! 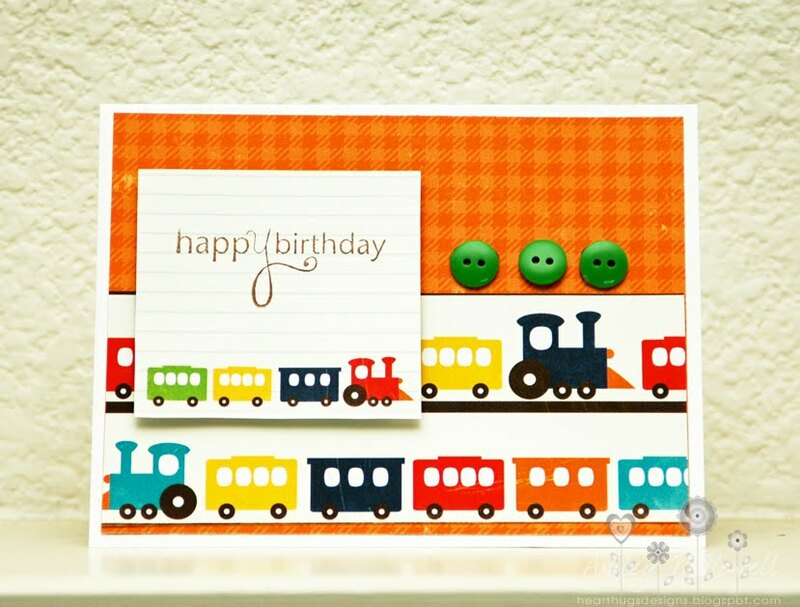 Those trains are soooo cute!!! Thank you for playing with us over at ATU! !